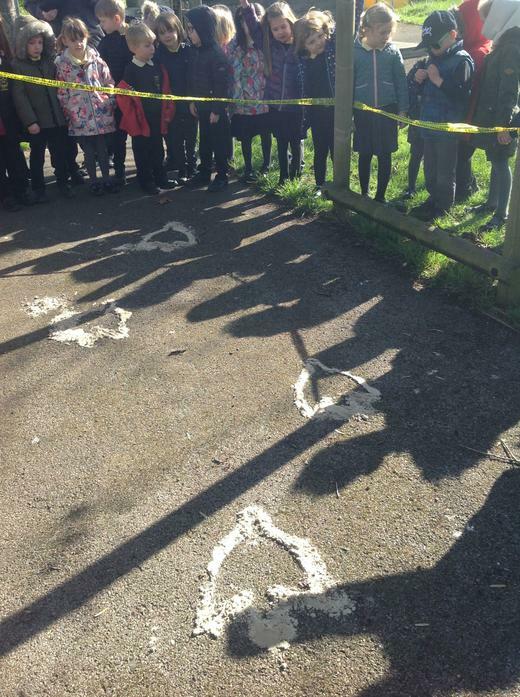 On Monday 25th March we went out to our garden area and noticed that an area had been cordoned off! 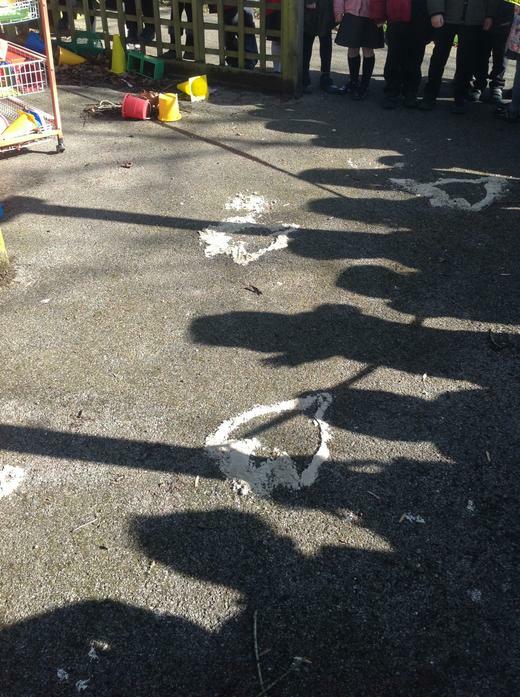 There were some huge footprints surrounded by sand! 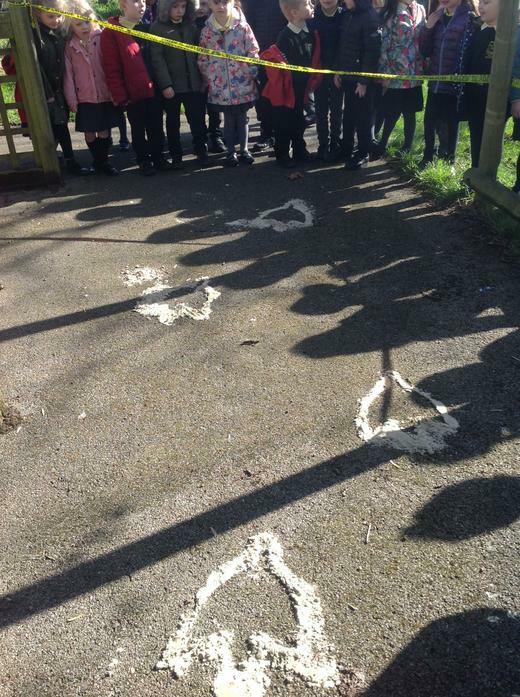 We wondered what could possibly have made those and some children thought it looked like dinosaur footprints as they had 3 toes and were surrounded by sand! perhaps the dinosaur had come from a sandy place! 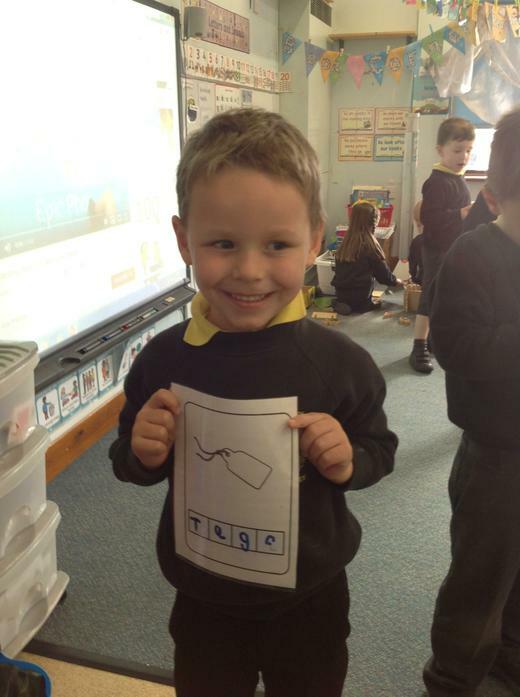 This sparked off a whole week of all things dinosaur! 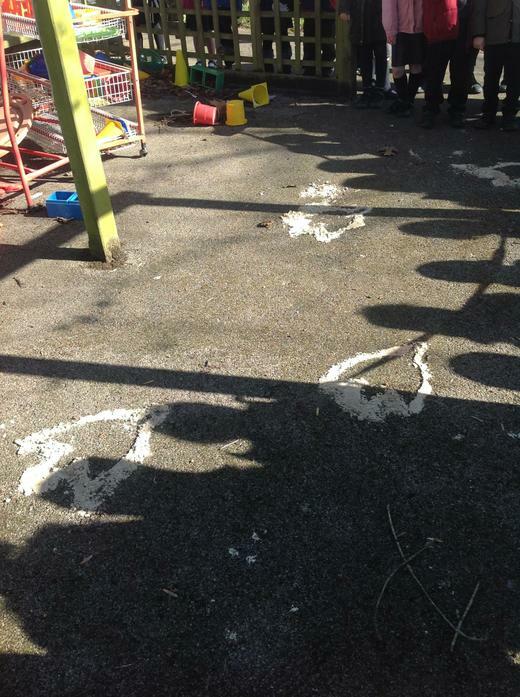 We sang a dinosaur song while stomping around; we found out facts about the different dinosaurs who lived on Earth millions of years ago; we investigated dinosaurs in our sand trays; we drew dinosaurs and we write descriptions of dinosaurs!